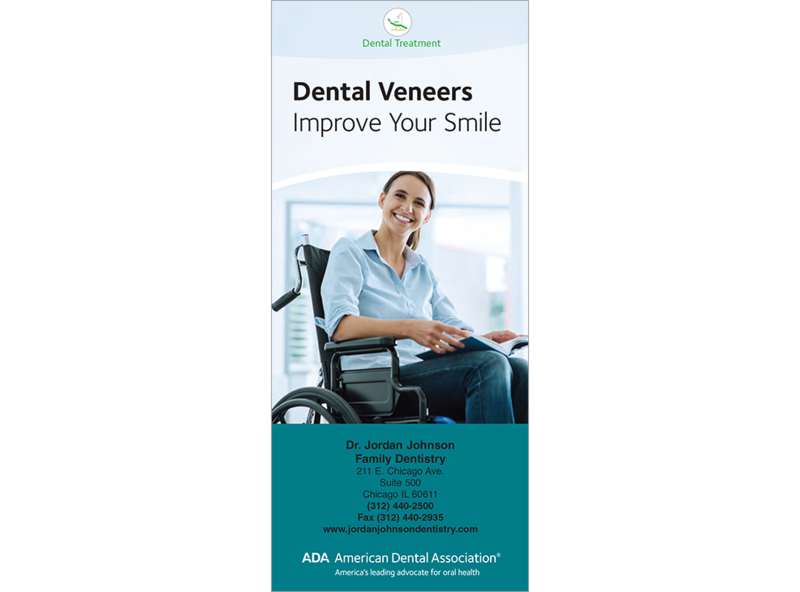 Share the smile-enhancing benefits of veneers with your patients. Our brochure outlines the reasons to choose veneers, with added before-and-after photos and illustrations of veneer placement. It covers the benefits of porcelain vs. composite veneers, as well as placement steps. Gives patients a list of factors to consider before opting for veneers and what they can expect before and after getting them. 6 panels. Minimum order 150. Click Add to Cart then personalize for free. Now you can add personalized information on the front, back, or both covers on all brochures.